HWIH: How many albums have you completed over the course of your career? AC: Including my latest project, The Journey, I have completed 18 albums. However, over the last 40 years, God has blessed me to write more than 1700 songs. HWIH: You released a new single entitled “The Promise.” Can you tell us what that song means to you? AC: That song is a personal reminder of how God and His promises have helped me through the various phases of my life. He’s has seen me through so many things and has been there every time I’ve needed Him. His word says, ‘…He’ll never leave nor forsake you…,’ and I know that to be true. AC: I partnered with the talented Mano Hanes on this album and I’m pleased to say that I’m also now signed to his label, Riverphlo Entertainment. Mano produced the entire project and we co-wrote the lead single. HWIH: We understand that you are sponsoring a choir competition to coincide with the launch of the album. Can you tell us more about it? AC: Yes, Mano and I are holding “The Promise” Choir Competition where church and community choirs will submit a recording of themselves singing my lead single. The winner of the contest will work with us and receive a two song record deal with Riverphlo. We’re looking forward to this! HWIH: What message are you sharing with your listeners through this album? AC: I know God will use this project in a mighty way to bring unity and agreement to the body of Christ. “The Journey” is full of vital messages He has to given me to share with others. I tried to include as many of those messages as I could. 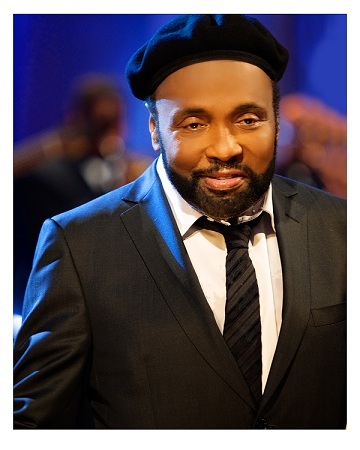 For further information on Andraé Crouch and “The Promise” Choir competition, please visit www.riverphlo.com.